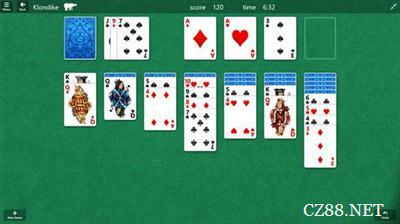 Microsoft's Windows 10 Mobile/PC version of the built-in Microsoft collection (Solitaire Collection) game, which contains a variety of classic poker game. 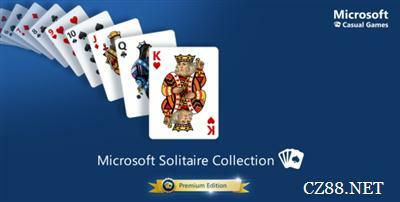 But built-in version although free, but there are a lot of video advertising, and in the TriPeaks and pyramid game also has less implantable advertising cards, and want no advertising pure Microsoft solitaire game can only buy the premium version, and now Microsoft Windows 10 user provides "micro soft solitaires: Premium Edition" time limit one week free download. 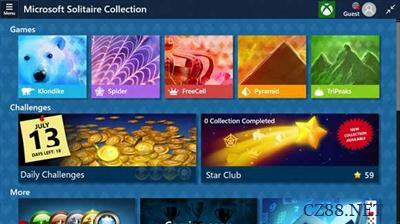 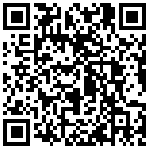 You need only by Microsoft account in Windows 10 application store landing and the Microsoft solitaires "update to the latest version, can in a week for free download removal of an advanced version of the annoying ads, all of the game's cloud archive, achievements and exclusive features of access will remain intact.